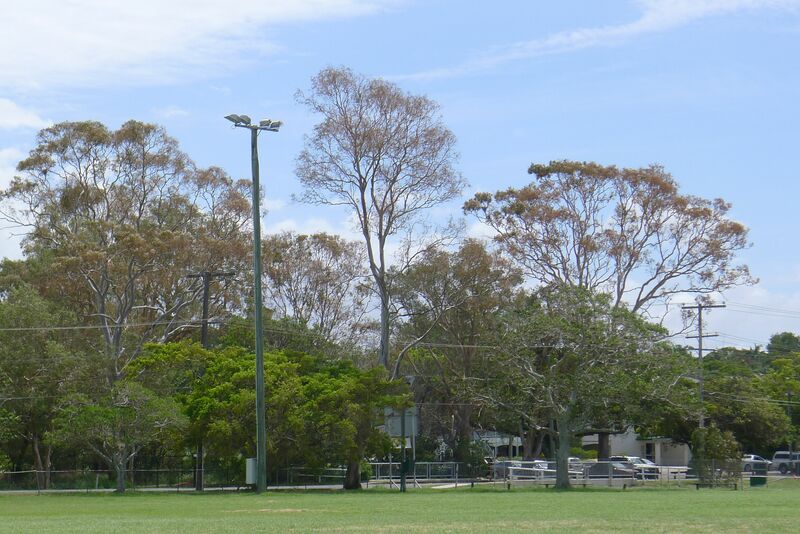 Salt spray damage to forest red gums (Eucalyptus tereticornis) in Bayside Brisbane, 12.2.13. Bundaberg is a disaster zone as you have seen on the TV. Some of our Garden Club Members have had their gardens under water. Our Executive decided that any Members who have suffered total loss will receive a $50 nursery voucher. I think that is a lovely gesture. Is there any special advice you can offer gardeners? It’s a long road to recovery for this community, but day by day it is improving. Like many Australians, I was shocked by the scale and intensity of the devastation. Gardens may heal more quickly than their stewards. It’s important to look to the future, but as well as helping gardens, plants and soil to recover, it’s equally important that people are helped to deal with the trauma. After the 2011 floods, Brisbane gardeners formed a volunteer ‘mud army’. Helping flood affected gardeners know they are supported is as important as physical repair. You can read about these successes in this story: Green thumbs restoring Brisbane garden beds (ABC News 15.6.2012). Last year ABC TV’s ‘Gardening Australia’ (GA) show told the story of how Gary and his garden in Rocklea had recovered from the 2011 floods. You can see how Gary who, with the help of some dedicated volunteers, rebuilt his garden after the devastating 2011 floods. I hope your Garden Club members will find Gary’s story inspiring. In 2009, GA explained how to repair flood damaged soil and plants (18.4.2009) and in 2011, GA also screened a series of Flood Recovery Tips (12.3.2011). The recent ex-Cyclone Oswald spewed salt water spray 2km inland from the eastern shoreline of Moreton Bay. Currently many trees, eucalyptus and jacaranda especially, in my region look as if a bush fire has burned their leaves brown. They will recover fresh foliage, given time. Plants and soils that have been inundated by salt water, caused by storm surges, take longer to recover and need different treatment. GA covered this situation and showed a range of plants adapted to living in salty conditions near the ocean and tidal creeks. The idea of a gift voucher is brilliant, and I hope your Garden Club members will find this information useful.